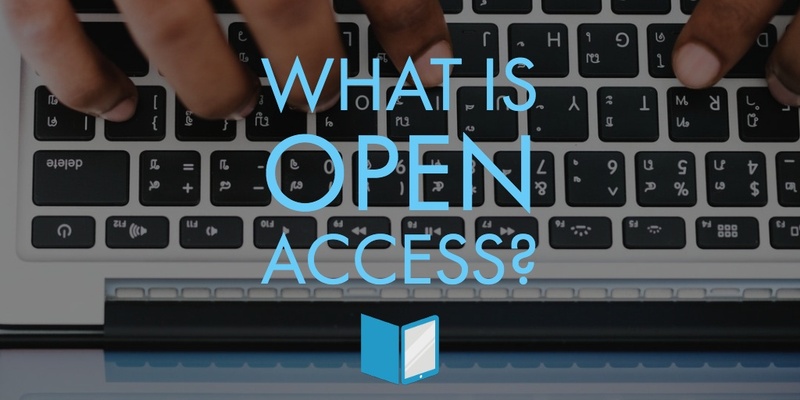 Open access (OA) is essentially a system that enables anyone with the ability to connect to the Internet to access publications and research documents totally free or at minimal cost. However, this is a simplification on several levels. For instance, even though you won’t pay for this material it is important to check the stated policies of publishers including who owns copyright of what has been written. Often the author or authors retain copyright, but sometimes copyright is owned by the publishing company, especially when content is published in the form of subscription titles. Gold OA that makes the final version of documents available to anyone immediately they have been published. The article or publication is free and access is permanent. Generally, authors retain copyright and most permission barriers are removed. This means that the content can be re-used and added to. Just because anyone can read the content doesn’t qualify it as gold OA! The important element is that the work can be re-used. Green OA that is often referred to as “self-archiving.” Copyright of these articles, journals, or books usually belongs to the publisher or any society or association that had something to do with publication of the work. They often specify embargo periods that need to be agreed to and followed before the work can be used in any way. Probably the best-known form of open access is the Creative Commons (CC) License used by Wikipedia and other similar platforms. In fact, the CC license has become regarded as the standard OA publishing. Generally, with a CC license anybody may share, use, and even add to content as well as use photographs and illustrations. Some authors ask to be cited when their work is used as some photographers and illustrators who share via CC also do. There may also be restrictions in terms of where and how CC work may be used. Most recently updated in November 2017, CC licenses provide a very simple, standardized method for everyone from institutions and large companies to individuals to grant copyright permissions for others to use their work. This is in direct contrast with the traditional “all rights reserved” approach of international copyright law but provides a perfectly legal alternative. Will commercial use be allowed? If so, other people will be permitted to use their work to make money. Will derivative works be allowed? If so, there is another choice that might require licensees who opt to use the work to make their “new work” available under the same terms chosen by the original author. Known as ShareAlike, the concept was inspired by the GNU General Public License and it is used by many OS software projects. It is also an idea that is intended to support and help digital commons grow. A top Legal Code layer that lawyers will understand. A Commons Deed layer that is really just a user-friendly Legal Code that anyone will understand. However, even though it explains the license, in essence, but it is not part of the license as such. Ultimately, the Creative Commons organization enables us to search for open content via Google for just about everything, including Wikimedia Commons, which is Wikipedia’s multimedia repository for photographs, videos and so on, as well as via Flickr for all sorts of pictures, and spinxpress for general media files. Those who make their work available via Creative Commons know that their work may be distributed, remixed, tweaked, and built on. You decide whether you want to be credited and exactly which CC license you want people to agree to. But why would an author, photographer, musician, or researcher want to share their work without expecting monetary gain? Not everyone creates content or multi-media to sell it. Often citations are more important, especially to researchers and teachers. Citations add credibility to the opinions of authors and ultimately bring more work and recompense. Many researchers rely on funding to have their work funded, so if it available via OA they can prove that it is downloaded and read more often which will generally ensure future funding. Of course, those who provide funding also benefit because the work they back will invariably have a broader impact by being available to a wider audience of readers. When research papers are free, public engagement is higher too. Researchers also find that by making their work available via OA they can also build on their existing research a lot more quickly largely because their work is cited more rapidly and more often than research that isn’t available via OA. The ability of researchers to become involved in collaborative research is also increased globally when publications are available via OA. In fact, funding bodies and institutions backing research are tending to insist that articles relating to research they fund is freely available to all so that it can be re-used. Additionally, on another level, authors are often required to pay a “processing fee” to publish in journals. Apart from which, many authors and publishers prefer to be paid, even if it’s less than they would earn in the traditional market, and that’s where subscription titles come in. Subscription titles are published in the same way as other open access publications that are also subject to peer review and specific publishing and production standards. The difference is that they require a fee (or subscription) for access. While you can get free access to many publications on sites like Elsevier and Springer many more documents on these sites carry a subscription fee. This in itself has become a growing problem. In March it was announced that Couperin.org, which represents at least 250 French academic institutions, had decided not to renew its subscriptions agreement with Springer. Part of Springer Nature, Springer is closely associated with a number of trusted brands including Nature Research, BMC, and Palgrave Macmillan and is renowned for providing academic, scientific, and R&D-related researchers with quality content. Publications include archived books and ebooks, as well as hybrid and OA journals. Based in Germany, the company was founded in 1842. According to information published by The Scientist in March 2018, Couperin wanted Springer to reduce subscription costs for its journals. Couperin stated that because of the continuous increase in the “share” of articles that are published as OA they find it difficult to continue increasing subscription costs, and believe it rather justifies a price reduction. Additionally, The Scientist reported that about 200 institutions in Germany had terminated subscription agreements with Elsevier in an attempt to pressure the publisher to reduce fees. The Canadian Association of Research Libraries has also stated that subscription costs are “unsustainable” and would like to see a coordinated national approach in that country. Just two months later, a number of Swedish research bodies and universities announced that they wouldn’t be renewing their contracts with Elsevier in June 2018. The consortium, which represents about 85 research and higher education institutions in Sweden, has asked Elsevier to let researchers publish their work in OA formats and then get reading access to all the journal articles published by Elsevier. Ultimately, the consortium was attempting to commit Elsevier to a pricing structure that will encourage the move to OA. While this might sound like a cheap trick to those who are not in the know, it’s worth considering the fact that the consortium spent about US$1.5 million in 2017 alone on article-processing charges and OpenAccess.se reports, since Swedish researchers publish about 4,000 articles in Elsevier every year. What happens now is anybody’s guess. Open Access is growing, but there are problems that will need to be sorted. Creating subscriptions that combine reading and publishing access in a single fee as the Netherlands has done is one solution. But the challenge is to find a solution that will work globally. One thing that is (probably) certain, Open Access is here to stay!